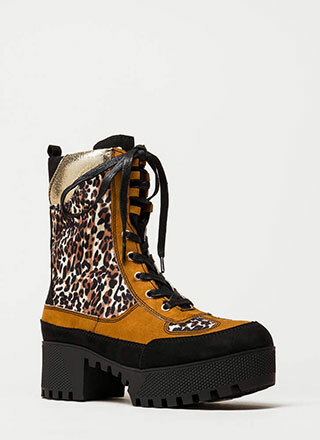 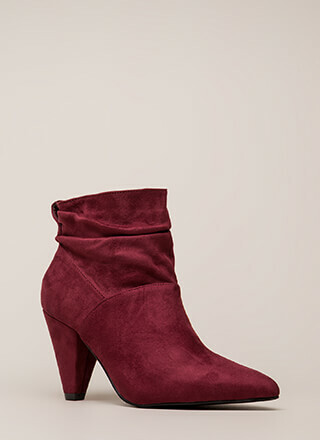 If a casual, city-chic look is what you're going for, it's time you let these babies come out to play! 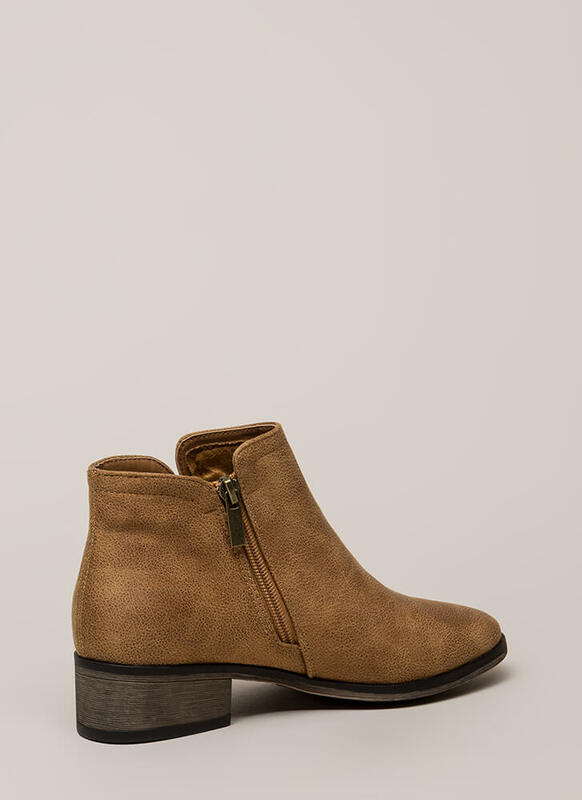 Booties feature a notch on one side and a zipper on the other for easy on and off. 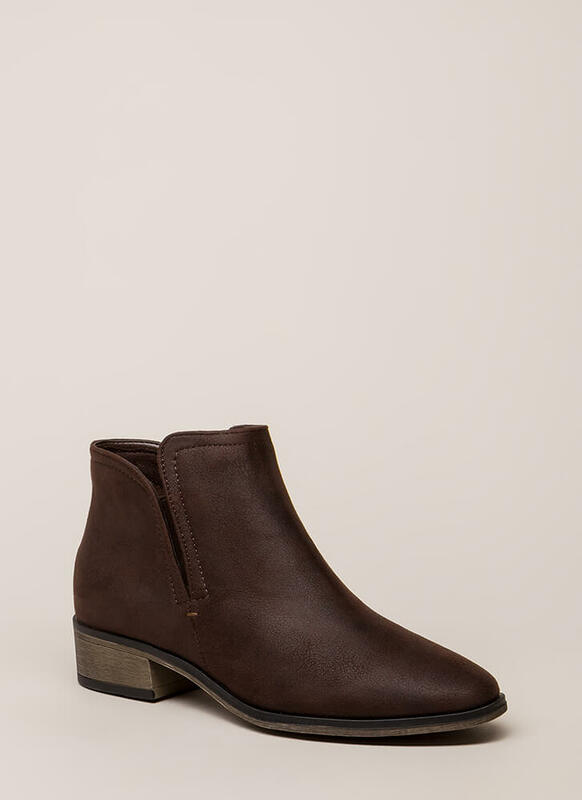 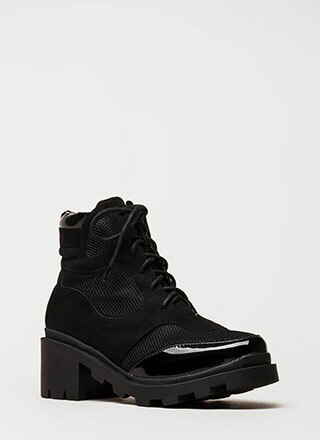 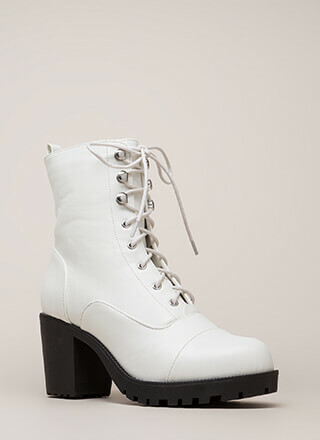 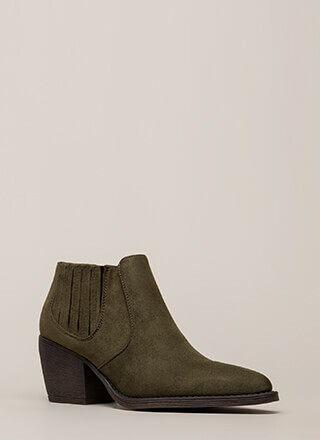 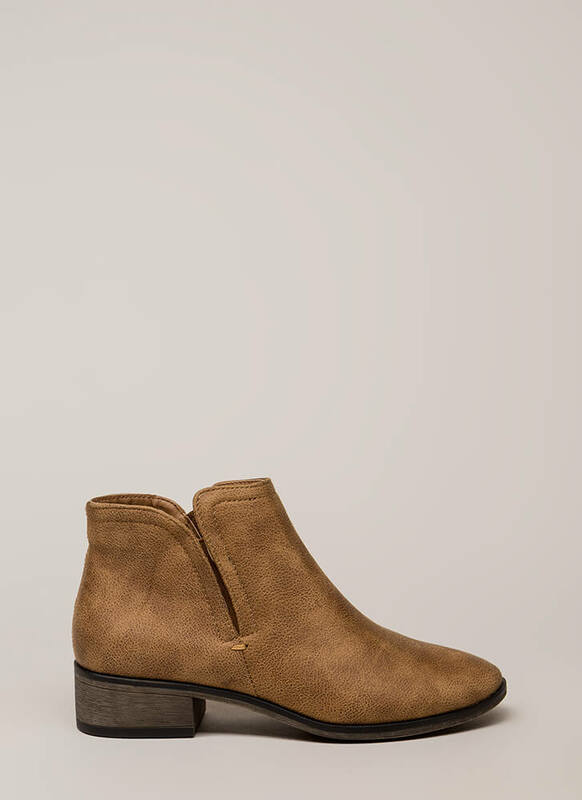 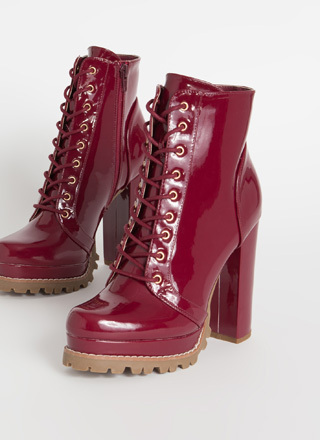 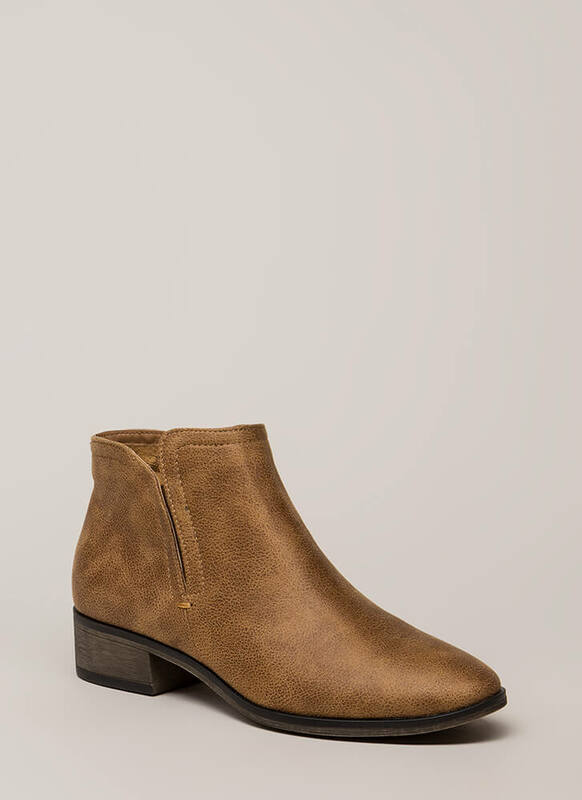 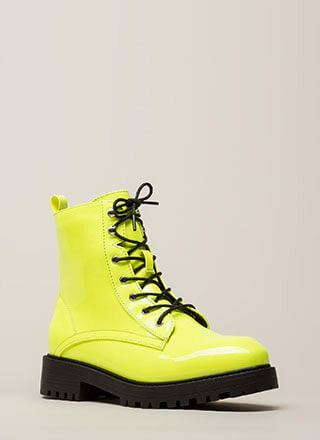 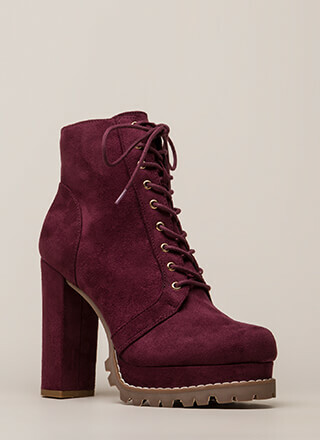 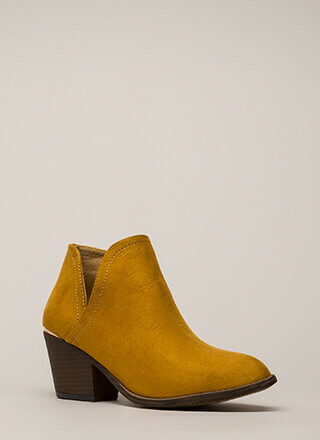 Ankle boots are finished with a low block heel and a textured sole.